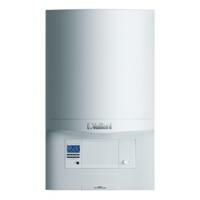 The F75 error is a fairly common fault code on Vaillant ecoTEC boilers. It can also be quite a frustrating fault as it has a number of potential causes and therefore a number of different remedies. So basically the boiler is not detecting the pressure it is supposed to detect when the pump is up and running – which generally means there is fault with either the pump or the pressure sensor. If in doubt, it’s always best to seek professional help from a reputable engineer. Originally Vaillant’s ecoTEC boilers came with a pump produced by a company called Wilo. These pumps are now known to have a high failure rate, and they are particularly prone to leaking and splitting. ecoTEC boilers now come with a pump from a company called Grundfos, which last a lot longer than the Wilo ones and are proving to have a lower failure rate. The Vaillant ecoTEC boiler’s pressure sensor (part no. 0020059717) has had three separate revisions since it was launched back in 2005. The first sensor had very high failure rates, which Vaillant discovered quite quickly and moved to roll out a replacement sensor. The problem stemmed from the sensor becoming blocked with debris and sludge, which leads to it being unable to sense a change in pressure when the pump is on – which in turn leads the boiler to report a F75 code. The sensor blockage can be caused either by the build-up of carbon deposits and debris in the filter system, or if the boiler system was not properly cleaned and treated when it was installed. As there are a few different reasons for the F75 code, the process of fixing it needs to be a methodical one. First of all it needs to be established whether the fault lies with the pump or with the pressure sensor. This can often be achieved by simply listening to the boiler when it is turned on and trying to run. You can reset the boiler by using the lockout button – the cross flame symbol – and then have it call for heat i.e. turn your heating on or run a hot water tap. If the pump is fine then you should be able to hear it running for a few seconds every 20 seconds or so – it should sound like a low rumble. If you can hear it then it is highly likely that it is the pressure sensor causing the F75 error. 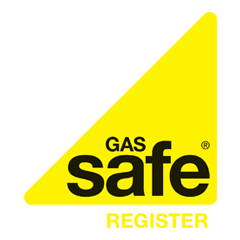 If there is no rumble coming from the pump, then you can be fairly certain that this is where the fault lies and you will require a Gas Safe Registered engineer to assess your boiler and replace the faulty pump. When the fault is being caused by the pressure sensor then it can be rectified by stripping it out and cleaning the water-block where it is fitted before installing a new one. Pressure sensors are relatively inexpensive so it is always advisable to replace them rather than just trying to clean and use the old one again. Should you need professional help immediately, then simply use one of our enquiry forms or call the number below and we will connect you with the best heating engineers local to you.